The Yearbook Pre-press complements the published Yearbook collection, offering draft chapters and detailed chapter research outlines from Yearbooks currently in production. 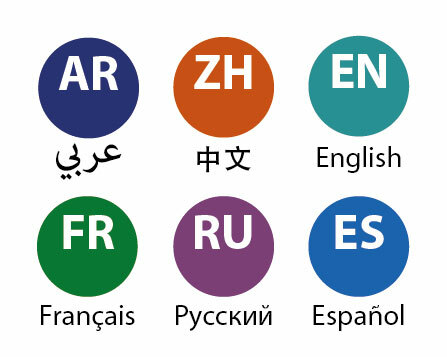 The Pre-press is updated frequently as new material becomes available. Please note that Yearbook Pre-press chapters do not represent the final edited versions that will appear in published form, nor do Yearbook Pre-press chapter research outlines necessarily represent the final form and content of the chapter as it will be drafted and edited. 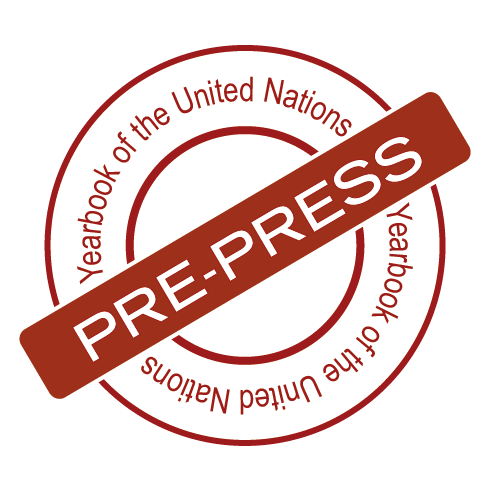 Pre-press material is made available as an additional service to readers and researchers, and in reflection of the fact that the Yearbook Unit works simultaneously on researching, writing, editing and finalizing multiple volumes of the Yearbook. Yearbook Pre-press chapters feature edited, copy-edited and typeset material, but will undergo further editing, proofreading and layout before publication. 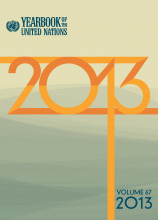 Yearbook Pre-press chapter research outlines include prospective headings and subheadings, along with hyperlinked symbols of pertinent United Nations consideration, deliberation and action (including General Assembly and Economic and Social Council resolutions and decisions, as well as Security Council resolutions and presidential statements), along with relevant corresponding UN official documentation. Towards filling out the Yearbook narrative context, the Yearbook Pre-press chapter outlines make occasional use of UN non-official documentation (such as press releases and statements, or certain annual reports), or, even more rarely, of other sources—those, however, only for background purposes.